Unified Communications as a Service (UCaaS) represents a key opportunity for IT pros to work smarter, not harder. By using cloud-based collaboration tools that are already integrated, you can make it easier for your employees and platforms to work together seamlessly. 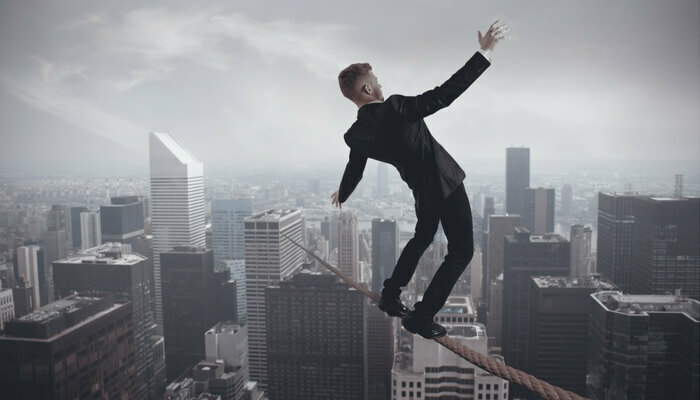 Before you make the leap, it's crucial to know the risks of trying to use cloud-based unified communications and a separate internet vendor. But I'm already using some of those tools! By connecting your various communication platforms and tools, businesses can achieve better productivity and transparency. Missed calls to an office line can ring directly to an employee's cell phone. Social media data can integrate with your CRM to provide deeper insight into your customers. By unifying your tools, your employees can work smarter with fewer mistakes and less lost information. Some research indicates that unified tools can save companies tens of thousands of dollars each year based on sheer productivity gains. To dive deep into the business benefits of UCaaS, we recommend How to Boost Business by Leveraging Unified Communication Tools. The alternative to UCaaS is an on-premises deployment of UC tools. This means that organizations are responsible for the deployment and maintenance of solutions on-site, as opposed to cloud-based delivery. This can facilitate greater control over services for businesses with the budget, infrastructure, and staffing resources, but is prohibitive for many others. While UCaaS is a fantastic option for many organizations of all sizes, it's wise to understand the risks of signing a contract with a vendor who does not offer internet connectivity as a service. Trying to use unified communications tools over a public internet connection can lead to continuity risks, quality issues, and a host of other difficulties. In this blog, you'll learn why internet connectivity should be a component of your UCaaS and what to prepare for if you're using different UCaaS and internet vendors. When you are using UCaaS and a commodity internet vendor, your communications data is forced to share internet resources with all of your vendor's other customers. Your voice telephony packets and app data will be transmitted across the vendor's network and back to your UCaaS vendor while competing for priority with other businesses and even home internet users' Netflix viewing and other activities. This can result in significant delays, especially during periods of peak internet usage. In the case of voice-over-IP (VoIP) telephony packets, it can even lead to misordering of packets that results in "jitter" on calls, long delays, and other sound quality issues. If you opt for internet connectivity and UCaaS through a single vendor, your business communications won't have to share resources with other users and prioritization of your voice packets can be insured, which can result in more consistent transmissions and fewer quality issues. UCaaS reliability can be particularly risky if you're relying on commodity copper or coax cable-based internet, as opposed to fiber-optic internet connectivity. Ultimately, non-fiber internet contains a number of vulnerabilities that can cause extended periods of service outage. Temperature fluctuations, inclement weather, equipment failures, and moisture can cause your internet to fail, bringing down your business's ability to communicate. Your organization can't survive without access to your business phone lines, data, and other communication tools. Needless to say, cloud-based communications requires reliable internet connectivity. For more information on the reliability and quality differences between internet types, check out 8 Advantages of Fiber-Optic Internet Over Copper Cable. The more complex your network, the more challenging it can be to troubleshoot problems. If you're using separate internet and communications vendors, it may require more effort to find the source of various quality and reliability issues. A sudden drop in VoIP quality could be related to poor internet quality or insufficient bandwidth allotment, or it could be caused by VoIP vendor issues. By combining internet connectivity with your UCaaS, you gain total transparency and the ability to troubleshoot problems much faster. You won't have vendors pointing their finger at each other as the source of any issues. Security risk mitigation is about increasing safeguards while reducing vulnerabilities. If you're transmitting your UCaaS data over a commodity internet vendor's resources, it can potentially increase the points of interception for cybercriminals. In addition, copper cable-based internet is susceptible to tapping and deliberate interference attacks. Not only will relying on a single vendor increase your security, it can also make risk analysis of your company's network and infrastructure much simpler. Ninety percent of businesses that lose access to their data go bankrupt within 3 months. If your organization suffers a natural disaster, is targeted by cybercriminals, or is subject to any other "worst case" scenario, minutes can count when it comes to data restoration. Using a single vendor for internet connectivity and UCaaS can offer huge business continuity planning benefits, especially if you opt for an organization that's committed to mitigating client risks. A single vendor that offers cloud backups, geographic redundancy, and fiber can reduce the risk you'll ever lose data. Using any cloud-based business tool as a service requires great customer service, especially for something as integral as phones and data. If your phone lines suddenly go down at 4:30 PM on a Friday, will a support call link you to a live, helpful agent or will it dump you to wait in line in a general customer service queue? Regardless of what route you ultimately choose for your communications tools, it's important to consider the service aspects of UCaaS before the ink dries on your contract. Gaining access to live, expert, and domestic customer support 24/7/365 can significantly improve your quality of experience. Using mixed equipment from multiple vendors for VoIP can significantly increase the risks of compatibility issues, which may present a troubleshooting nightmare. To minimize your risks of difficulty transmitting or properly prioritizing your UCaaS data transmissions on a multi-vendor network, you may need to extensively research options prior to implementation. In contrast, a single vendor network can make implementation and maintenance much simpler. Opting for a UCaaS provider that offers both fiber-optic internet connectivity and a full range of cloud-based communication tools can yield significant benefits for implementation, maintenance, security, business continuity planning, quality, and more. It can also yield significant cost savings over time. 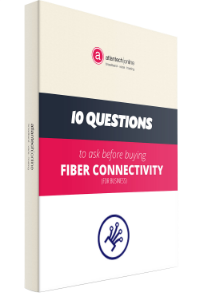 To learn more about Atlantech Online's fiber and UCaaS services, click here.